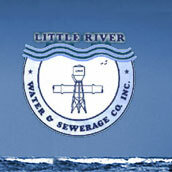 Little River Water & Sewerage Company, Inc.
We are happy to have you as a customer, whether you are a property owner or a tenant, and want to tell you something about our company and services. The company is a member-owned, nonprofit, tax exempt corporation established under South Carolina law. We provide water and wastewater service(s) to members and their property. The company is governed by a board of directors, made up of nine members of the company. Members present and voting, elect directors, at the annual meeting of the membership held on the second Tuesday in February. Members are informed in writing at least ten days in advance of the meeting date. Member participation is encouraged and welcome. The Board of Directors meets monthly at the company's offices and has full authority under the corporate by-laws to conduct all company business. The Board establishes policies, approves budgets and sets the rates charged for services. It uses the company staff and such other sources as they deem necessary to provide information to assist them in making decisions. Day-to-day operations of the company are the responsibility of the Executive Manager who is appointed by the Board. He supervises and directs the staff in carrying out the policies set by the Board, the performance of all the tasks involved in providing water and wastewater services in the company's service area and planning for future growth. He can be contacted at the company's offices during its normal business hours of 8:00 AM to 5:00 PM, Monday through Friday except for certain specified holidays. Bills for services are mailed between the 20th and the 25th of each month. They are payable without penalty through the 10th of the following month. When the l0th falls on a weekend, payments received in the mail or left in our after-hours drop box (accessible using the drive-thru lane) before the beginning of the next business day are processed as being on time. A late charge is applied to all payments received after 8:00 AM. Cut-offs for nonpayment are done after the 24th without notice. A rate card showing our current rate structure is enclosed for your information. Your bill may be paid by cash, check, money order, debit or credit card at our customer service desk at 2375 Highway 111, at the after-hours drop box in the same location, by mail, by bank draft, or online at www.lrwsc.com. The billing and availability charges are billed monthly even though no water may be consumed. Rates are reviewed annually in conjunction with the budget process and any changes are applied in the October billing period. The water distributed through our system comes from Grand Strand Water and Sewer Authority's Bull Creek Water Plant. It is treated surface water and meets or exceeds all standards established by the US Environmental Protection Agency (EPA) and administered by the South Carolina Department of Health and Environmental Control. Annual water quality reports from the plant are available and the staff is always happy to share that information on request. We also contract with Grand Strand Water and Sewer to treat all the wastewater collected by our sewer system. On behalf of the Board of Directors and Staff I am pleased to welcome you as a customer and along with them, look forward to serving your needs. 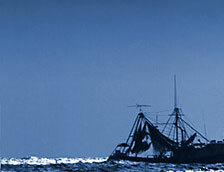 Should you have any questions, please don't hesitate to call the company office at 843-399-1888. You will find the office located at 2375 Highway 111, in Little River. ©2016 The Little River Water & Sewerage Company, Inc. All rights reserved. Myrtle Beach Website Design by OiCi, Inc.